Competitors may be able to match us on a few of the top ten reasons, but no company can match or beat Bizmanualz on all ten. Using a strong business policies procedure starting point from Bizmanualz can kick-start your business policies procedure writing and improve the usability of your procedures (hence, their usefulness). It can also reduce procedure confusion and user errors and help you achieve your compliance and control objectives. MS-Word is the business standard for word processing applications. 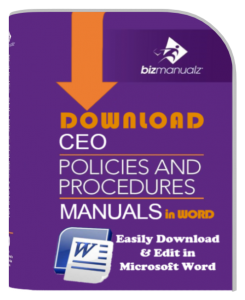 Bizmanualz business policies procedures use basic features of MS-Word (bulleting, page numbering, and title tags for table of contents making, etc.) that help to speed up procedure development. Business policies procedures manuals are available for instant download via compressed “zip” files for immediate downloading over the Internet. All procedure manual content is researched by certified quality professionals, subject matter experts, and technical writers who together have decades of business experience. The finished product is thoroughly reviewed by subject matter experts who bring their years of specialized experience to the topics we cover. Over 17,000 ISO standards are now available, standards that align companies around the world. The ISO 9001 Quality standard uses the process approach to describe — and provide a framework for — management systems. Rather than reinvent the wheel, Bizmanualz, uses the same process approach and incorporates best practices in developing and implementing procedure manuals. Answers to questions about your policies and procedures manual, subject matter, references, or manual preparation are only a phone call or email away. Bizmanualz staff are available Monday through Friday from 9 am to 5 pm, Central (US) time. A company is made up of more than a single topic or department. Business management policies and procedures are used by accounting and finance (to control cash), human resources (to comply with federal and state regulations), information technology (to control your data), disaster recovery (to plan for emergencies), security (to protect your assets), sales and marketing (to deploy your strategy), and quality (to operate a complete quality management system and for compliance). 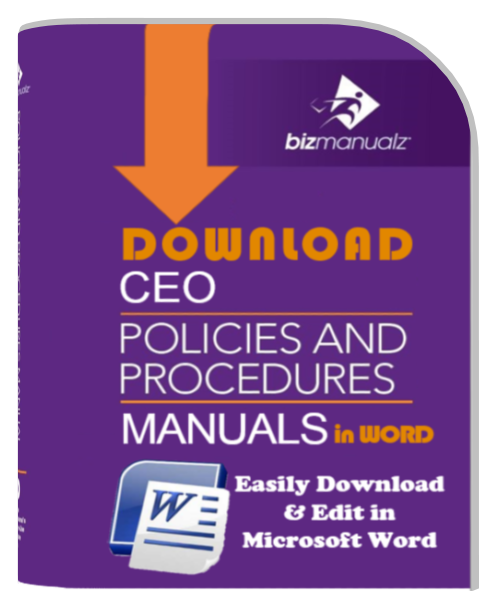 Bizmanualz is the only company that provides all of your department business management policies and procedures manuals. Bizmanualz quality professionals are available to personally explain how to plan your procedures project, help you understand your business processes, write and review your procedures, implement your procedures, perform process procedures audits, or develop training materials for successful procedure implementation. Competitors may be able to match us on a few of the above, but no other company matches or beats Bizmanualz on all reasons. What do you think? Time to check out Bizmanualz Policies and Procedures Manuals!